Of the many obstacles to settling a case, perhaps the most frustrating is an obstinate or overeager client. A seasoned attorney knows when a settlement offer provides the precise reward that makes a trial inadvisable, but it can be difficult to guide a client to the same assessment. 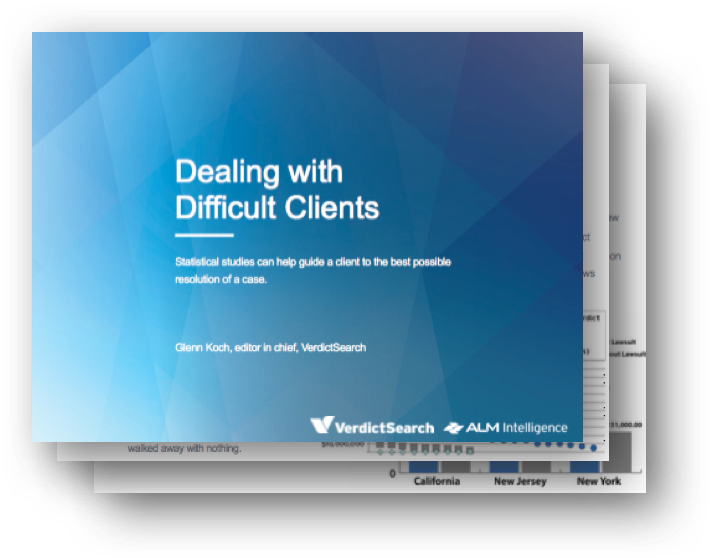 Using data from VerdictSearch, Glenn Koch, Editor in Chief of VerdictSearch, has compiled studies to create this white paper in order to help show a few of the ways in which statistics can be used to guide a client to have realistic expectations.